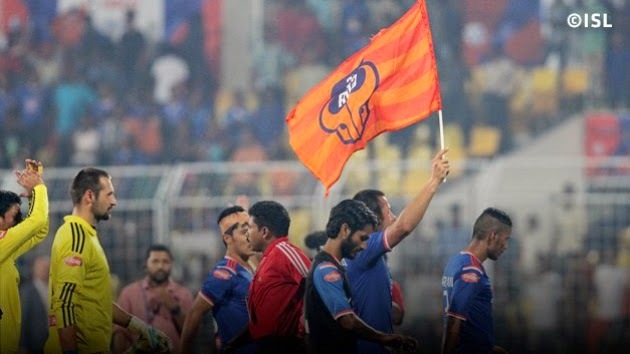 Substitute Tolgay Özbey bundled in a sensational matchwinner in added on time to help FC Goa record a thrilling 2-1 win over Delhi Dynamos FC at the Jawaharlal Nehru Stadium in Fatorda tonight. It was the home side’s first win in five matches in the Hero Indian Super League and the result also ended Delhi’s unbeaten run in the tournament. Goa now move up to sixth place with four points while Delhi remain at fourth position with six points from five games.